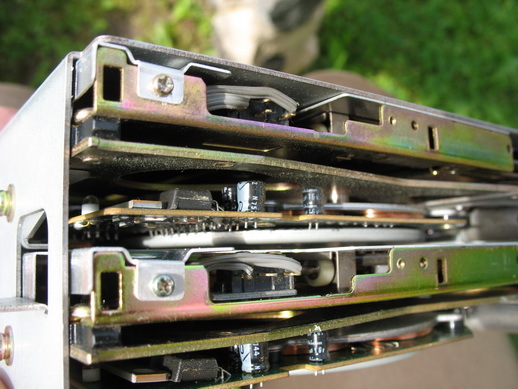 Due to age some floppy drives might start developing one of the following symptoms. When the computer is switched on at first they do not read floppies. If examined closely, the reading fails when step motor does random seeking or tries to seek approximately beyond track 40. If after some ten or thirty minutes the drive, as by magic, starts to work well then the capacitors could be faulty. 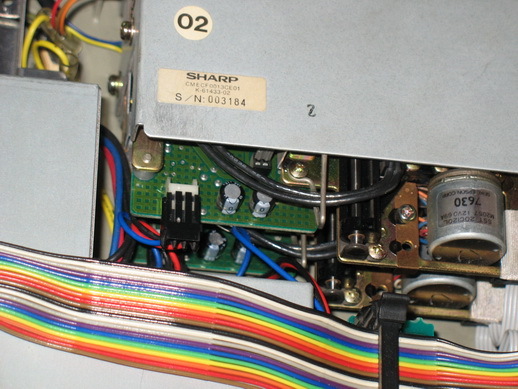 Start by replacing two capacitors which are next to the power connector of the drive. These are two 100uf 16v low profile capacitors. 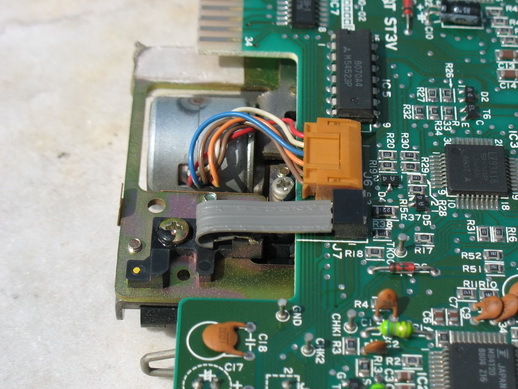 You could try to replace the three capacitors which are close to rotating disk as well but try that as a last resort because the drive needs to be taken apart completely in order to get to them and there is a high probability that something will be broken in the course of it. Next thing to try is cleaning the step motor rail from hardened grease. This will allow your step motor to move heads more freely. I used WD-40 and cotton bud to clean off the grease. Do it until the rail is completely clean and no dirt is coming off. Then relubricate the rail using silicon spray. For this task I used Valvoline White Synthetic ChainLube for motorbikes. 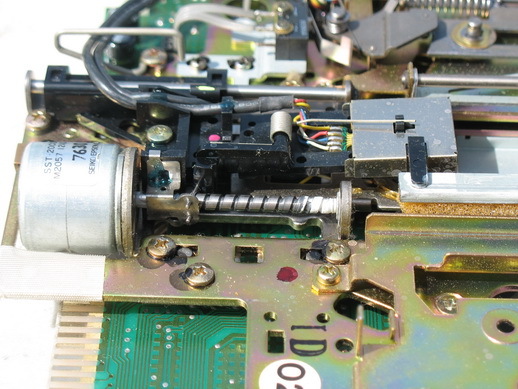 If you hear an unpleasant bumping noise when the floppy drive heads have returned to track 0 then it could be necessary to adjust the track 0 sensor. Loosen the screw and adjust the sensor. Test it by trying to load software which does a lot of random seeking to the end of the disk.